Modi should explain to the country why Anil Ambani's Reliance Defence was chosen over State-run Hindustan Aeronautics Limited (HAL) as the offset partner of French firm Dassault Aviation, he said. 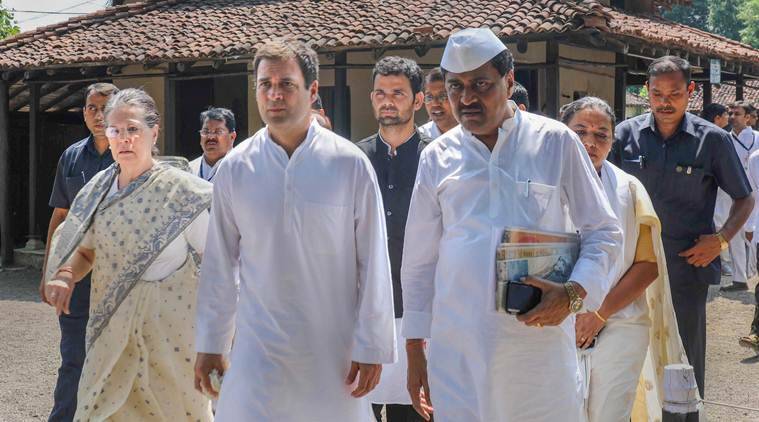 Mahatma Gandhi aimed to unite the country but Prime Minister Narendra Modi was working to divide it, Congress president Rahul Gandhi said at Wardha in Maharashtra on Tuesday. Addressing a rally marking his party’s programmes on the commencement of Mahatma Gandhi’s 150th birth anniversary year, the Congress president also asked the prime minister to talk about the Rafale fighter jet controversy. Modi should explain to the country why Anil Ambani’s Reliance Defence was chosen over State-run Hindustan Aeronautics Limited (HAL) as the offset partner of French firm Dassault Aviation, he said. Modi “avoided eye contact” when he asked questions about the deal in Parliament, because the prime minister had “lied” to the country on the issue, Rahul Gandhi alleged. “Mahatma Gandhi talked about uniting India, Modiji is dividing India…. (he) pitched one community against another,” he said. The National Democratic Alliance (NDA) government waived loans worth Rs 3.20 lakh crore of capitalists who were close to it, but did not write off the debts of farmers, the Congress chief said. The “thieves of India” turned their black money into white through the back door, while the common people had to queue up outside the banks to deposit the scrapped Rs 500 and Rs 1,000 currency notes (after demonetisation), he added. “He (Modi) is not a chowkidar (watchman), but bhagidar (partner, of capitalists),” Rahul Gandhi charged. “You tried Modi (gave him a chance)…he broke your trust. Now trust the Congress, Mahatma Gandhi’s ideology to take India forward,” he told the gathering. United Progressive Alliance (UPA) chairperson Sonia Gandhi, former prime minister Manmohan Singh, senior Congress leaders Ghulam Nabi Azad, Mallikarjun Kharge, Ashok Gehlot, P Chidambaram were present on the occasion among others.